Homepage showcasing the major features of the product and highlighting the in-house research section. Data page that provides further background about the data sources the company uses to generate signals for investors. Team page highlighting the background of the employees and a contact form. 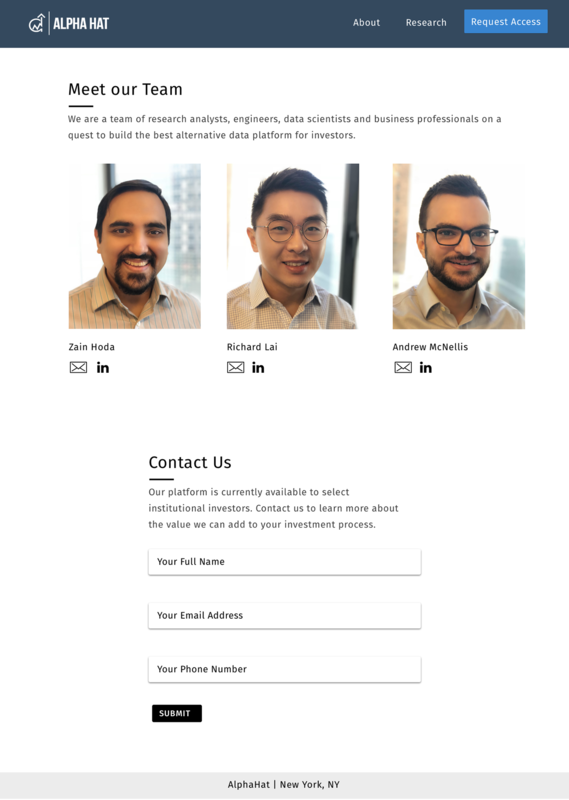 Landing page re-design for fintech startup.